Our Steel Lintels are supplied by Keystone. 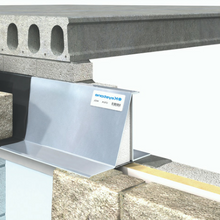 We stock metal lintels, box lintels and hi-therm lintels, all explained below. If you are interested in purchasing, or have any questions, come into one of our branches and we will help you find what you are looking for! Our metal lintels come in many different profiles. 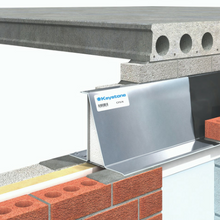 Most of our branches stock cavity lintels to suit cavity sizes 50mm, 75mm, and 100mm. These are available in various lengths starting at 600mm and increasing in 150mm increments. 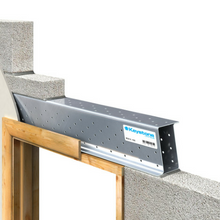 Box lintels are available in 100mm and 150mm and come in various lengths. 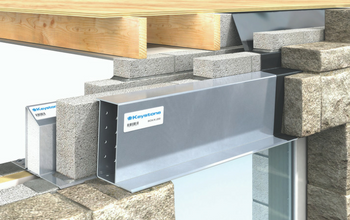 Keystone are the market leader in special shape lintels offering a fast and professional delivery service. Please be aware that we are unable to recommend what type of lintel you require as load bearings from plans have to be calculated in order to obtain the correct duty required. This service is offered at no cost from Keystone’s technical department. A copy of your plans will be required. 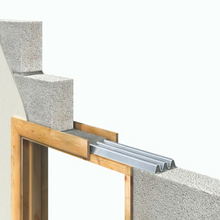 This will guarantee that the correct lintel is specified so that failure will not occur. 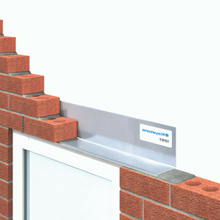 Keystone leads the way with the development of a completely unique range of lintels! 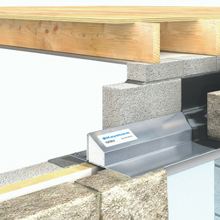 They were made to address the thermal requirements of new building regulations, which require that lintels should be assessed for their effect on the thermal performance of a building. 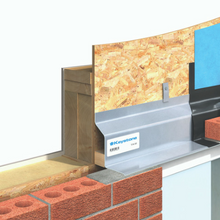 Up to 5 times more thermally efficient than cavity wall lintels. The significant reductions in thermal bridging due to the GRP component will assist in the building design process to achieve compliance with Part L and The Code for Sustainable Homes. The use of Hi-Therm will make a significant contribution to a buildings performance in respect of the Fabric Energy Efficiency Standards (FEES). Outperforms Stainless Steel on price and corrosion resistance.